With a reliable international shipping company like K International, transporting construction equipment from brands like Komatsu / Caterpillar / Kobelco is easy, efficient, and affordable! 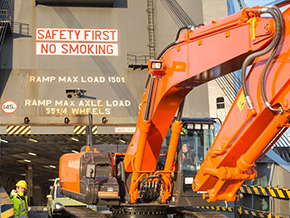 the port can handle containers and all roll-on/roll-off cargo, including construction equipment shipping. 3)Port Au Prince handles 90% of shipping to Haiti. With all of these notable features, why not ship today? -K International Transport can ship your cargo from any port in the United States, including those in New York, Maryland, Virginia, South Carolina, Georgia, Florida, Texas, California, and more! 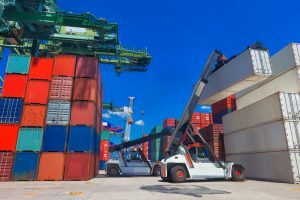 -If your cargo is located outside of a port city, K International Transport offers inland trucking and transportation services to transport your belongings to a port before they are shipped overseas! -Rigging and Dismantling services. We’ll even load your construction equipment for you!